New Images of SAS UKSF “Communicator” Omega Seamaster 2254.50 Emerge – I Already Have a Watch. It’s just raining UKSF Seamasters lately it seems. It’s another one of those curiously odd cases of six degrees of internet separation. 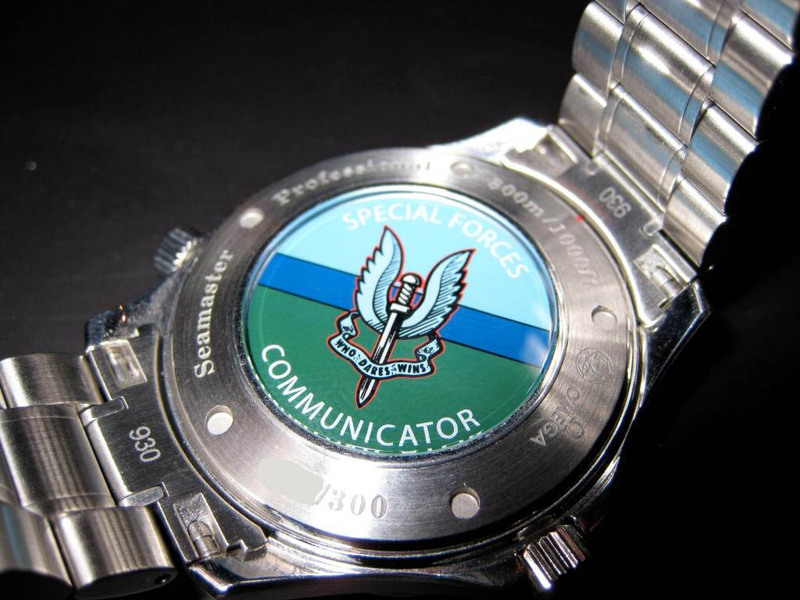 A UK collector saw my previous entry about the UKSF (United Kingdom Special Forces) Communicator Omega Seamaster 2254.50 that had been offered for sale to a US collector. This UK collector recalled seeing one like it among the collection of another collector, who was then able to forward some really high-quality photos of his example of this newly discovered and very uncommon Seamaster watch for the blog. And just to make things really and eerily coincidental, it turned out to be the exact same watch that was offered for sale to the tipster who had contacted me previously, who was altogether unaware of the watch’s current disposition. Serial numbers match and everything. What a small world, huh? Custom special edition Omega Seamaster Professional 2254.50 Caseback. Issue number obscured for security, privacy, and anti-counterfeiting reasons. It ‘s interesting to see as well that the caseback includes the “Special Forces” lettering as well, a feature that had been effectively obscured by the glare in the seller’s low-resolution hastily taken pictures shown in my previous post about these. I’m still slightly astonished to be seeing these popping up everywhere now. In December when I first posted about the SBS Seamasters they were still unconfirmed rumors and something of a minor myth or urban legend amongst military watch collectors. Then they were all but unknown to the collector community, but now it seems to be veritably raining UKSF Seamasters! I think at least part of the reason all these highly specialized units are now getting these special watches has to do with the allure of the perceived “investment” value. After the highly publicized auction hammer price of an SBS-issued Rolex Submariner 5513/5517s in the six figures USD last summer, it’s likely that many unit members are very conscious that unit-exclusive limited-edition watches might one day become very valuable. The potential rate of return is even greater if they are given a discounted rated from Omega like that under the X-33 Military Purchase Program, which was roughly 70% off MSRP. Depending on whom you ask, however, the optimism here might be a little unfounded: the Milsubs were a different breed of beast entirely. Not only were they officially issued and thus more highly coveted by military watch collectors, but they were custom modified by Rolex at the factory from the drawing table forward with specially made hands, bezels, and special fixed bar lugs according to Royal Navy and Royal Marines stringent specifications, so much so that some like the 5517 were actually given a separate model reference that was never commercialized. So not only is there an issue pedigree, but the Milsubs were substantially differentiable from the regular production models in form and function. 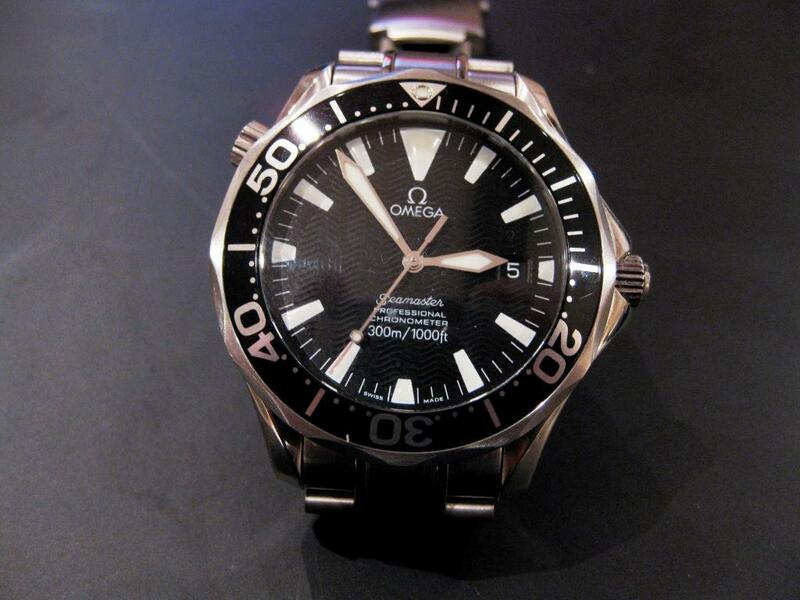 In a relative sense, the watches in question derive much of their uniqueness solely from the commercial exclusivity, and are otherwise all but identical to the regular production Omega Seamaster Pro 2254.40 counterparts with no other distinguishing characteristics. Years (and maybe even many years) from now they might fetch prices well in excess of the retail models, but for now I would estimate that because they are only barely differentiable from the retail models and the market is effectively unaware of their existence, values are likely limited to a modest premium above regular MSRP. And again for the sake of clarity, these should not be thought of as “official issue” watches by any stretch of the imagination. They’ve not been purchased and issued by any government on an official basis and have not been manufactured or tested to any military specification(s). These are privately purchased and owned by the Trooper/Operator/Servicemember out of their own pay as commemorative souvenirs, a special edition watch made available exclusively to them by the manufacturer. No more, no less. For more details on this SAS Omega special military edition, see my previous post on the Omega SAS Communicator Seamaster. SAS to get a Seamster GMT Special Edition too? Tagged with Military Watches, Omega Watches, sas. How much do these watches go for? What sort of price could i expect to pay for one that is in mint condition? Since close to none have made it to the open market, it’s hard to say for certain as there’s little data for comparison. But frankly as the market is mostly unaware of them and they’re not enormously different from the production models, I’d expect they’re probably valued at just a little above MSRP for the retail version (about $1895 or so).